Know that the process for becoming a Unity minister is Spirit-led. Neither you nor we know how that process will unfold. But we do trust that God has called you to take this first step in faith and we are grateful that you have responded. This application form is will take you through a basic set of questions that will help introduce you to us. We will contact you within a few days or sooner. Let us know if there are any technical glitches or if any of the questions are unclear. Know that our decision on your admittance to the program does not rest on just the content of this application. We know that no application form can truly convey the depth of your spiritual journey. In other words, do not be afraid of making a mistake on this form. I speak for the Unity Urban Ministerial School Faculty, Registrars, Alumni and the many friends in our community in affirming you in taking this next step in response to God’s call to you. The Unity Urban Ministerial School admits students of any race, color, national and ethnic origin, religion and sexual orientation to all the rights, privileges, programs, and activities generally accorded or made available to students at the school. It does not discriminate on the basis of race, color, national and ethnic origin in administration of its educational policies, admissions policies, scholarship and loan programs, and athletic and other school-administered programs. 2. Once you fill out the Form and submit, an email with verification code will be sent to you. 3. Return to the site and submit code. It will return you back to login screen. 4. Now log in with the credentials your created. 5. Choose New Student Application, it will remind you to use if you are a new student.and click start new form. 6. Fill out information completely and click shopping cart on left hand side. 7. This will prompt you for the $25.00 application and payment type. 8. Hit Confirm. Your application will be sent to Rev. 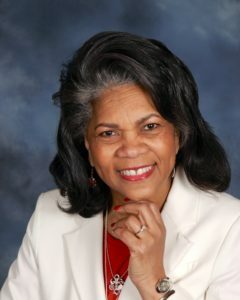 Sandra Campbell, Executive Director. She will contact you directly for a short interview within 2 business days. 9. After approval, you will be sent a link to registration. interviews. Please note that all License and Ordination exams must be completed according to the current criteria set forth by Unity Worldwide Ministries. It is recommended that upon eligibility, students apply for admission to the Licensing and Ordination ministry path at the earliest possible opportunity.